Our award-winning extra virgin olive oil “Petralia” adds two new awards to its extensive list. 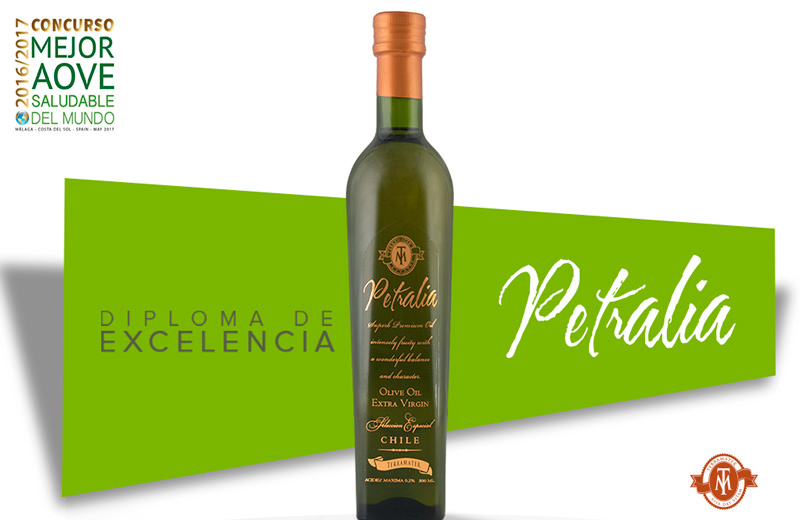 On this occasion, Petralia has ranked among the 10 best oils in the world in the categories of “Lower content in saturated fatty acids” and “Higher content of unsaturated fatty acids”, thus becoming the only Chilean oil in receiving so high distinctions. We are very happy to share this wonderful news with all our followers!